Traditionally, gold is the number one choice for wedding and engagement rings. Resistant to rust, tarnish and erosion, gold rings have a number of unique and appealing qualities. 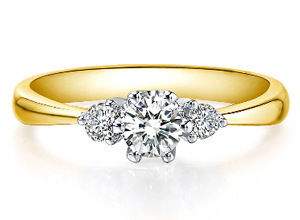 Although gold is very strong, it is the most malleable of all the precious metals used for engagement rings. Pure gold is too soft for use in fine jewellery, so is alloyed with precious metals such as silver, nickel and zinc to improve its strength and durability. The purity of gold is given in Karats (k). This indicates the percentage of gold in a piece of jewellery. 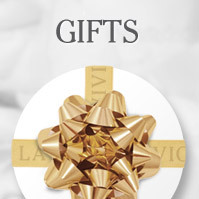 At La Vivion we only craft our wedding and engagement rings from either 18k or 14k gold. This ensures that our rings our strong enough for everyday wear, remaining brilliant and beautiful. Engagement rings are available in a number of different coloured golds. This is determined by the metal it is alloyed with and, the percentage of the metal alloy. Yellow Gold – Gold is traditionally worn in its natural, colour-saturated form. This is created from an expert mix of copper, silver and pure gold, to give the gold engagement rings the signature warmth of this precious metal. White Gold – Similar in colour to silver, white gold jewellery has become a popular choice for diamond engagement rings. White gold is made from a combination of naturally white metal alloys which are then rhodium plated. Although extremely tough, rhodium can wear over time so re-plating may be required. White Gold can also be plated with black rhodium to give a rich black appearance. Although extremely tough and hardwearing, white gold with black rhodium engagement rings may also need re-plating. Rose Gold – Available in 18k or 14k, rose gold has a beautiful pink hue that is popular amongst women. Created by using a copper alloy, Rose gold will make a unique engagement ring for your loved one. Vermeil – Vermeil is sterling silver which is plated with 10k gold to a minimum of 2.5 microns of gold. Rich in colour like yellow gold, vermeil is the ideal choice for those looking to achieve the look of pure gold on a budget. A natural element and precious metal, the integrity of gold is affected by harsh chemicals and cleaning products. To prolong lustre and shine, it is recommended that your remove your gold jewellery when in contact with cleaning products and chemicals. To clean your gold wedding or engagement ring, use a soft-bristled brush, warm water and detergent free soap. Store unworn jewellery in a soft cloth bag or the original box. How Much Will Gold Engagement Ring Cost? 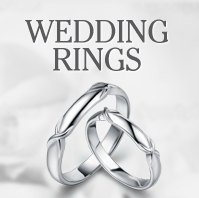 The prices of our gold wedding and engagement rings are dependent on the purity of the gold used. The karat weight, market value and, design and craftsmanship put into each ring will also have an effect on the cost. 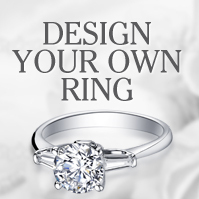 Please browse our website for more information on the individual prices of our diamond engagement rings.